This week-long safari captures 3 major highlights of this region. Watch the Zambezi River tumble over the Victoria Falls, then head for a boat safari on the Chobe River and enjoy watching wildlife on game drives in the excellent national park. And finally soak up the Okavango Delta with game viewing from jeeps, on walks and on mokoro rides. 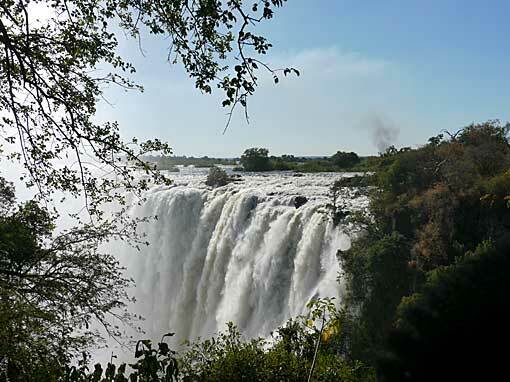 Today you have a full day to explore the Victoria Falls as well as perhaps taking in activities such as adrenalin-fuelled white water rafting and bungee jumping or relaxing sunset cruises on the Zambezi. After an early breakfast you will be driven to the border post with Botswana. 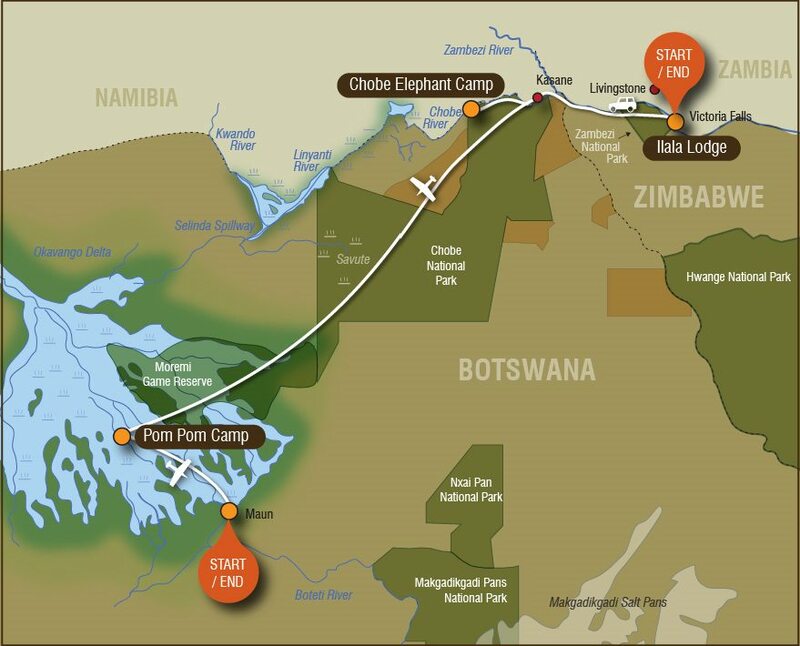 Here you complete the formalities before crossing into Botswana and heading to your lodge in the western Chobe region. You’ll arrive at your camp in time for lunch followed by an afternoon of game viewing. Today you’ll have a full day enjoying game viewing activities. You can choose from day and night game drives, guided bush walks, cruising on the river and birding. The Chobe Riverfront is a remarkable wildlife area due to the permanent water source of the Chobe River. After breakfast and a morning activity (time permitting) you will be transferred to Kasane airport and board a light aircraft transfer to Okavango Delta and to your safari camp. You will arrive at the camp in time for lunch before heading out on an afternoon game drive. The Okavango Delta is one of the world’s largest inland deltas situated in the middle of the largest stretch of continuous sand in the world – the Kalahari basin. Stay here for 2 nights. Enjoy a full day of game viewing activities. Your choice includes day and night game drives in open 4×4 safari vehicles, game viewing on mokoro excursions, guided walks, fishing, motor boating and sunset cruises. This trip starts in Victoria Falls and ends in Maun. From the UK, we recommend getting a flight with a combination of British Airways, Air Botswana and/or South African Airways via Johannesburg. This trip can be done in reverse. A rough per person price guide would be around £900 in low season and up to about £1400 in high season in economy. Per person prices based on two people sharing. Please ask for single supplements. Plus international flights from roughly £1100 pp. Accommodation, B&B at the Falls and full board basis on safari, local drinks on safari, road and light aircraft transfers, daily activities as listed, park and concession fees. Visas, international flights, premium drinks, optional activities, travel insurance, personal expenses.